Mourners pay tribute to victims of the Marjory Stoneman Douglas High School shooting back in February. The FBI is changing its procedures after mishandling two tips that might have prevented the massacre. An FBI director explained the changes in a two-page letter to the state commission investigating the Feb. 14 massacre at Marjory Stoneman Douglas High School in Parkland. 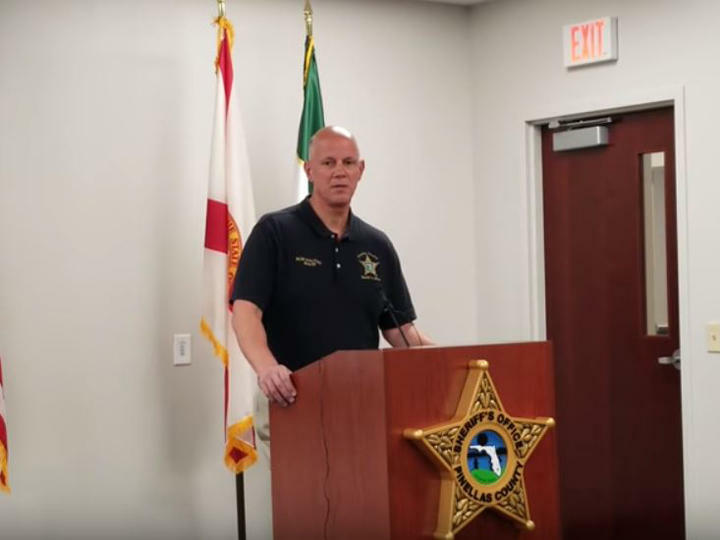 The letter was sent in lieu of offering in-person testimony before the commission, as chair and Pinellas County Sheriff Bob Gualtieri requested months ago. The correspondence arrived more than two weeks after FBI officials told Gualtieri it had been sent, further delaying when the panel might be able to consider the information as it prepares a report for state leaders with recommendations about how to prevent and prepare for another school shooting. The Marjory Stoneman Douglas High School Public Safety Commission is scheduled to meet again Dec. 12-13 in Sunrise before the Jan. 1, 2019, deadline for its report. Gualtieri has said he believed the FBI was sending details of an internal investigation into why the federal agency did not properly follow up on the tips. "I, like the rest of the commission, [am] anxious to know what's in it so we can find out what happened," Gualtieri said earlier this month, referring to the FBI "packet" he was told was in the mail. "Hopefully, we'll get some insight into what happened and decide how to proceed from there." The letter doesn't get into specifics about the missed tips, which might have helped prevent the killings of 14 students and three staff members at the Broward County public school. The letter says the FBI is working to reform its Public Access Line, or PAL, through which the agency receives thousands of calls every day. Instead of operating as only a call-intake center, PAL will soon have additional staff who are qualified to analyze and disseminate the information to law enforcement agents "in a timely manner." At least 62 more people will be hired to staff the tipline, according to the letter. Also, there will be new safeguards in place to make sure any tips that include words referencing threats to human life will be thoroughly reviewed. That includes a new "speech-to-text" technology feature "to identify key threat words used by the caller in the digital transcript of a call."